A Dermal Anchor, or Micro Dermal, is a means of more permanent piercing. A small implant Dermal Anchor is inserted under the skin. Since the anchor goes under the skin, most of piercers intend to use the highest quality. 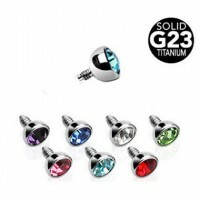 Our Dermal Anchors and Dermal Anchor Tops are made in superior quality in 316L Surgical Steel and Grade 23 Titanium. 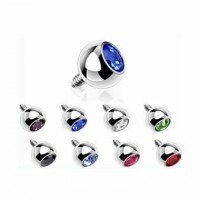 People, who are interested in Anchor piercing, also check our skin divers, captive bead rings. 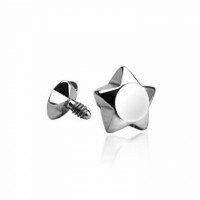 Great quality surgical steel internally threaded star body jewelry part for dermal. Various star sizes for customer different option. 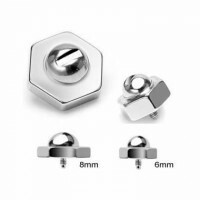 Great quality surgical steel internally threaded hexagonal screw nut body jewelry part for dermal. Various screw nut sizes for customer different option. 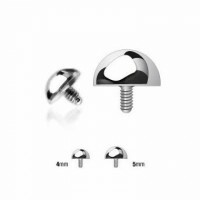 Great quality surgical steel internally threaded screw nut body jewelry part for dermal. Various screw nut sizes for customer different option. 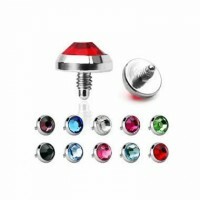 Great quality surgical steel internally threaded picture logo disc body jewelry part for dermal. Various disc sizes and custom picture logo design for customer different option. 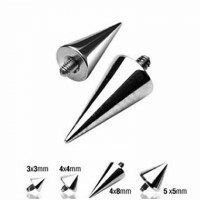 Great quality surgical steel internally threaded dome cone body jewelry part for dermal. Various cone sizes for customer different option. 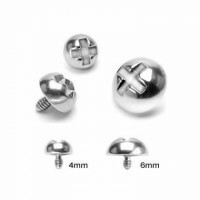 Great quality surgical steel internally threaded ball body jewelry part for dermal. Various ball sizes for customer different option. 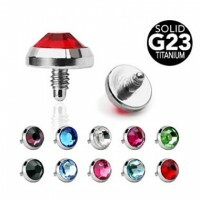 Great quality g23 titanium internally threaded picture logo body jewelry part for dermal. Various sizes and custom picture logo design for customer different option.